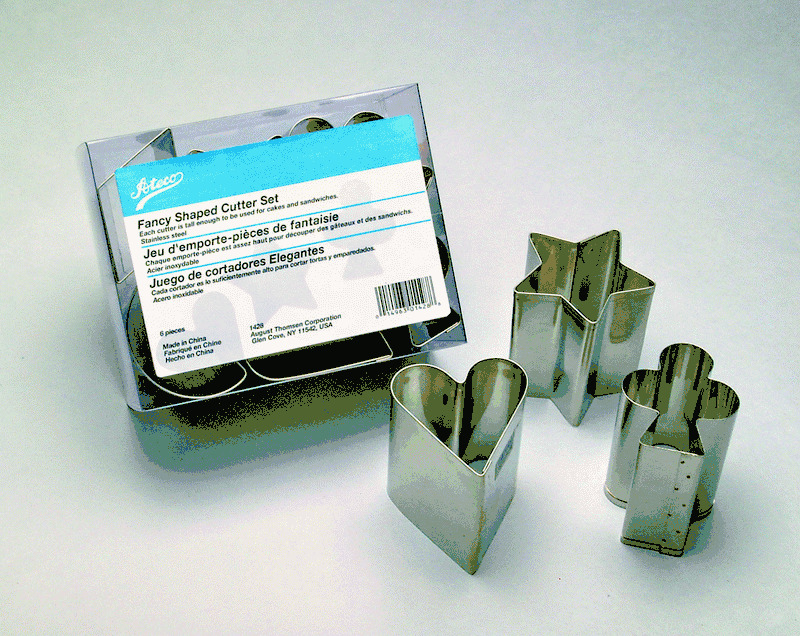 This set of 6 cutters made by Ateco are 3" tall and are ideal for cutting cakes & sandwiches. The set includes a Heart, Moon, Diamond, Spade, Club & Star. All of the molds are approximately 3" tall.